The Steering Committee (SC) of the Eastern Partnership Civil Society Forum (EaP CSF) addresses a statement to the Azerbaijani authorities and key international stakeholders on the 100th Anniversary of the Declaration of Independence of Azerbaijan. The SC members regret the failure of the authorities of Azerbaijan to take any meaningful steps to restore democracy in their country to commemorate the centenary of the declaration of the establishment of Azerbaijan as the first democratic republic in the Islamic world in 1918. The amnesty declared by the authorities on this anniversary has freed merely twelve political prisoners, which is far from the civil society and EU expectations. Our members welcome European Parliament (EP) call for political prisoners to be released before the negotiations on the Comprehensive Agreement with the EU are concluded. 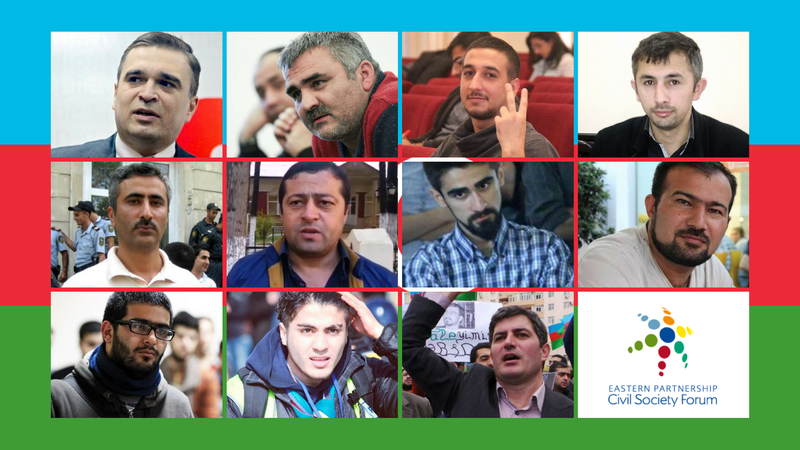 The draft report by the EP on the recommendations on the negotiations of the EU-Azerbaijan Comprehensive Agreement, urges the release of political prisoners and prisoners of conscience, including most emblematic cases: Ilgar Mammadov, Afgan Mukhtarli, Mehman Huseynov, Ilkin Rustamzada, Seymur Hazi, Rashad Ramazanov, Elchin Ismayilli, Giyas Ibrahimov, Beyram Mammadov, Asif Yusifli and Fuad Gahramanli. The EP also calls for the full implementation of the ECtHR decisions, and for the lift of travel bans of former prisoners, such as journalist Khadija Ismayilova and lawyer Intigam Aliyev. The Steering Committee denounces the detention of three Popular Front Party of Azerbaijan (PFPA) activists Aghil Maharramov, Ruslan Nasirli and Babek Hasanov on the eve of a public rally to celebrate the anniversary in the village of Novkhany, the birthplace of Mammad Amin Rasulzade, the leader of the first Republic. They also note the Azerbaijani authorities activities undermining the democratic institutions in Europe, such as the Parliamentary Assembly of the Council of Europe (PACE) and failing to work constructively with the OSCE/ODIHR, the OSCE pro-democracy agency, thus betraying the aspirations the 1918 Republic founders. The Steering Committee firmly believes that the time will come when the democratic aspirations of an independent Azerbaijan promulgated in 1918 will once again be respected, political prisoners will be released and the rule of law will be re-established in the country. UPDATE (11 June, 2018): a group of Azerbaijani NGOs have issued an appeal in reaction to the SC statement claiming that there are no restrictions to the freedoms of speech, assembly and association in Azerbaijan and praising the significance of the pardon act signed by the President last month.